The Dispensary restaurant serves wonderful meals and you can also order sandwiches to be brought to you in the sitting room! 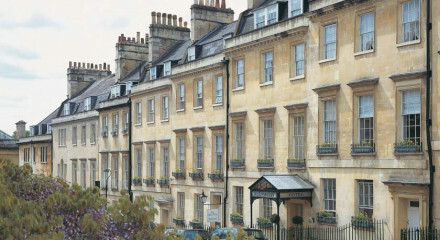 Head off to Bath Abbey, The Roman Baths or Pulteney Bridge-all of which are definitely worth a visit! 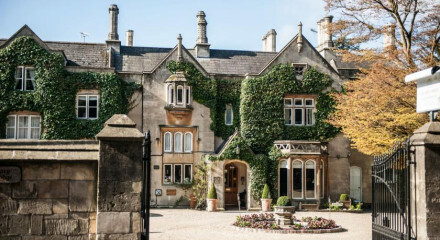 Is this Bath's loveliest boutique hotel? "The cocktails, like everything here, are presented with imagination, and each one is described on a playing card, so you can play Racing Demon while you knock back Negronis." 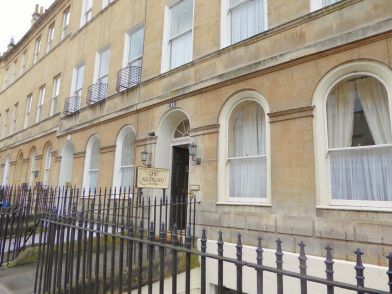 "The former temperance hotel is now Bath’s first luxury boutique hotel, full of curiosity and idiosyncratic touches." "Combining works by emerging artists (the small rooms in the loft, aka the Artists’ Floor, have specially commissioned murals) with antiques and, at least in the first-floor suites, contemporary Perspex furniture and beds with trompe l’oeil canopies, each of the 31 bedrooms is different"
"Vintage handbags decorate a wall, shelves are stacked with old books, and a crystal chandelier draped with jewellery hangs above. It’s eclectic and lots of fun."